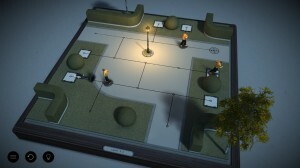 Hitman Go developed by Square-Enix Montreal was an unusual game from the start: A turn-based puzzle game based off of the Hitman series which is known for being quite the opposite experience. Add in microtransactions and being a mobile exclusive at launch and the game seemed destined to fail. Instead, it turned into one of the more popular games thanks to clever design and aesthetics and it’s finally made the move to the PC. While the mobile trappings are still here, this is a great puzzle game with or without the Hitman license. Hitman Go is presented as an actual puzzle instead of a full blown action game. Our favorite hitman Agent 47 is now a static figurine and the levels are presented as dioramas. While you will be killing marks, avoiding detection and using distractions, everything has been abstracted down to the puzzle field. The game works in a, “I go, you go,” ruleset. As you move 47 around, other characters will take their action. Different guards have different detection fields, and one hit will cause you to lose the level. 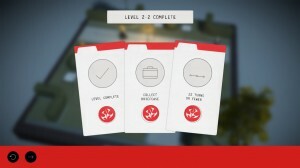 Each set of levels introduces new mechanics which are different takes on the Hitman mechanics. The levels themselves are on the short end, but will require trial and error to see you through. To the game’s credit, the developers did a great job on both streamlining the aesthetics and providing a gradual progression curve. New rules and mechanics are usually introduced on a simple map before testing the player with combining everything. The game plays quick enough that just like the mobile version you could sit for 5 or 50 minutes and play through the puzzles. The diorama aesthetic ties the whole experience together. 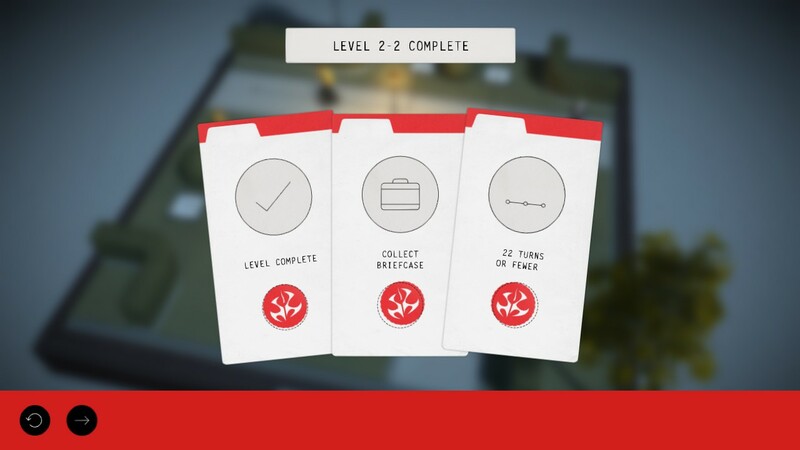 Besides just the general play, Hitman Go features an unlocking system for new boxes/worlds. Each level has objectives for you to go after, such as completing a level within a set number of moves; completing objectives will award you stars which are used to unlock things. In the mobile version, you could spend real money for hints and to instantly unlock the worlds. With the PC release, hints are free and are tied to an achievement and you cannot unlock the other chapters with real money; the only cost is the initial purchase. Overall, I really do have to give the developers a round of applause for making Hitman Go. 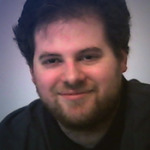 They managed to translate the basic themes of the game to a different platform, and they played off of the strengths of the limitations of the mobile model. The diorama or puzzle aesthetic is visually striking and is a far better fit than trying to create a basic 3D engine for phones and other mobile devices. Similar to the Talos Principle, the puzzles are all built around trial and error as you piece together the solution from multiple attempts. The streamlined look and design makes sure that the player always knows what’s going on and can think about what to do without having to guess at the mechanics. There really isn’t anything I can say as a complaint in terms of design. What you see is what you get; while the game does add in new mechanics, the basic foundation does not change throughout the multiple chapters. One complaint I have with the PC version is that I would have preferred using the keyboard or simply clicking to move 47 around. The game loosely translates the tap and swipe controls from the mobile version, and while it’s serviceable, it’s nevertheless annoying for the PC. Hitman Go is an impressive title and managed to beat the odds to be both a great puzzle game and an example of a well thought out mobile game. The developers released a follow up in the sense with Tomb Raider Go, which I hope we get to see on the PC as well. While it may not have the complicated gameplay or gritty story of the PC games, Hitman Go’s abstracted take is a great time for puzzle fans. 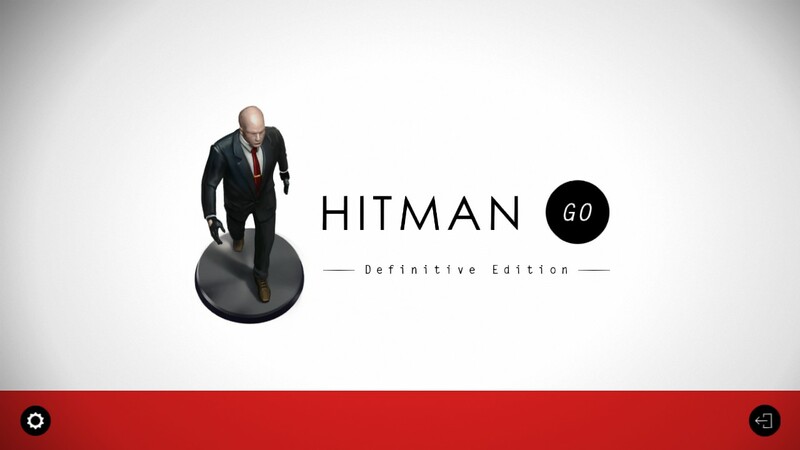 For more on Hitman Go, you can watch my video spotlight of the first chapter of the game.